St. Moritz, Switzerland's world-famous vacation town, is located in the Grisons Canton at an elevation of about 1,856 m. A cosmopolitan ambience of elegance and exclusivity awaits you here. Discover idyllic St. Moritz's landmarks with our chauffeured limousine service. We'll take you to see the Leaning Tower, a symbol from the 12th century, and to the spectacular races of the Cresta Run. Avid shopper? Our chauffeur-guides are only too happy to take you to the Via Serlas to visit the exclusive fashion boutiques. Grand, world-famous palace-hotels are clustered in this little town, intent on making your wishes come true. Above St. Moritz in the Engadin valley is the original Heidi mountain cabin. This is where the movie "Heidi", based on one of the most well-known children’s books written by the Swiss author, Johanna Spyri, was filmed. 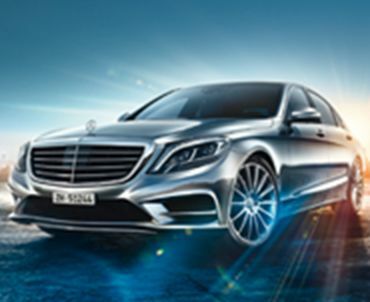 Experience our elegant service in our exclusive business class or stylish first-class models. We offer two booking options: transfers and hourly hire. If you are traveling by plane to Switzerland, our reliable transfer service will gladly pick you up at the airport and bring you to your destination. At the end of your stay, we will get you to your departure on time and safely. Opt for our hourly hire service and your chauffeur-guide will be at your disposal for the entire reservation, perfect for exploring the surrounding area comfortably, visiting points of interest and enjoying the best restaurants. Contact our 24/7 live support team by phone or email. Booking is so easy, you can do it in three steps: Step 1: Select either a transfer (trips from A to B, say, to and from the airport, or from the hotel to the convention) or an hourly hire, which means a dedicated chauffeur is at the guest's disposal for the time period you book. Step 2: Choose from our exclusive range of vehicle models and let us know how many passengers and how much luggage to expect, along the pickup and drop-off times and locations. Step 3: Select a payment method. We accept credit cards and bank transfers, or we can invoice you. TOP-ALLIANCE's friendly, experienced booking team will gladly help you with all your transportation needs. TOP-ALLIANCE - Exclusive in St. Moritz. Services in the listed cities are provided by TOP-ALLIANCE and/or our partners.